Access points are essential elements of any roadway network as they represent the start and end points of any trip. Access points can range from large, complex intersections to simple, unpaved field entrances. For the purposes of this briefing sheet, the discussion of access management will center on basic driveways serving local and rural roads. Every driveway represents potential conflict points between motor vehicles, pedestrians, and bicyclists. The number and complexity of these conflict points relate to the safety performance of the roadway. Therefore, access should be managed through thoughtful consideration of context, function, and location. Good access management begins at the planning level and proceeds through design, construction and ongoing maintenance. 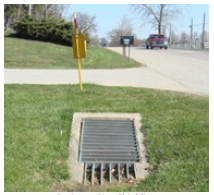 When well executed, access management will result in an appropriate balance between the safety and operating efficiency of the roadway and effective ingress and egress to adjacent properties. Support economic goals within a community. The U.S. Supreme Court held that states should determine the access rights of abutting owners by their own laws and not by federal law.1 As a result, there is considerable variation in how access permitting is accomplished. States and localities use administrative rules, access codes, guidelines, and design standards to establish driveway permit requirements and restrictions for driveway placement, design, and construction. Implementing these requirements through the driveway permitting process can affect the operation and safety of local and rural roads at driveway locations.2 Among the considerations for reviewing and granting permits are context (e.g., speed and traffic volume); degree of access (e.g., full or partial, exclusive or redundant); geometry (e.g., physical location, grade, sight distance, turning radius); treatment of cyclists and pedestrians; and other considerations (e.g., parking, drainage, pavement type). Traffic impacts generated by the property. Close proximity to complex intersections; e.g., signalized, busy commercial entrances. Driveways should be located where highway alignment and grades are favorable. Driveways should not be located near sharp curves, steep grades, or points that unnecessarily interfere with the free and safe movement of traffic. In general, driveways should intersect the main roadway in a perpendicular fashion, and highly skewed layouts should be avoided whenever possible. In rural areas, driveways obscured by sharp curves, steep hills, trees, and buildings limit sight distance available for drivers entering or leaving the roadway as well as drivers traveling on the roadway. Drivers entering the roadway from a driveway need a clear line of sight in each direction to identify approaching vehicles before entering the roadway. Additionally, drivers traveling on the roadway must be able to see vehicles entering the roadway in order to slow or even stop if necessary. Drivers slowing or stopping to leave the roadway at a driveway create a risk to following drivers who must slow, and possibly stop, as the lead vehicle turns onto the driveway. Properly located and designed driveways allow drivers to see oncoming traffic clearly from the point where the driveway meets the roadway. A turnaround within the driveway is useful in providing vehicles an opportunity to avoid backing onto the roadway. Vegetation such as tree limbs and bushes along both the roadway and the driveway should be trimmed to maintain adequate visibility. The table below provides guidance on recommended sight distances. Source: American Association of State Highway and Transportation Officials (AASHTO), A Policy on Geometric Design of Highways and Streets 2011 (AASHTO: Washington, DC, 2011). A high density of driveway entrances, as measured by driveways per mile, should be avoided to minimize traffic conflicts and construction costs. As discussed in the Highway Safety Manual, areas where effective access management has been implemented have experienced a 5-23 percent reduction in all crashes along two-lane rural highways.4 Consolidating multiple, closely-spaced driveways should be considered when possible. A single, well-designed and properly-controlled driveway with good traffic circulation within the site will function more safely and efficiently than several driveways to a parcel, and conflict points are reduced both on and off the public roadway. Other factors to consider include lighting and marking the driveway entrance. Lighting the driveway entrance may be helpful in some cases to illuminate vehicles entering the roadway as well as making the driveway more visible to traffic on the roadway. Additionally, the installation of delineators marking the driveway entrance could be appropriate to improve the visibility of driveway edge lines. 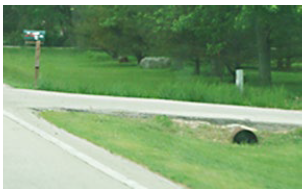 The resources listed below are available to local and rural roadway owners to assist in understanding the benefits of access management and to more safely and efficiently locate, design, and operate driveways. 2 Transportation Research Board (TRB), NCHRP Synthesis 304: Driveway Regulations Practices, National Cooperative Highway Research Program (TRB: Washington, DC, 2002). 3 AASHTO, Roadside Design Guide. AASHTO: Washington, DC, 2012. 4 Federal Highway Administration, "Proven Safety Countermeasures: Corridor Access Management," FHWA-SA-12-006 (Washington, DC: 2012). Available at: http://safety.fhwa.dot.gov/provencountermeasures/fhwa_sa_12_006.htm.